We are heading into magical lands today with Paige of The Book Carousel. 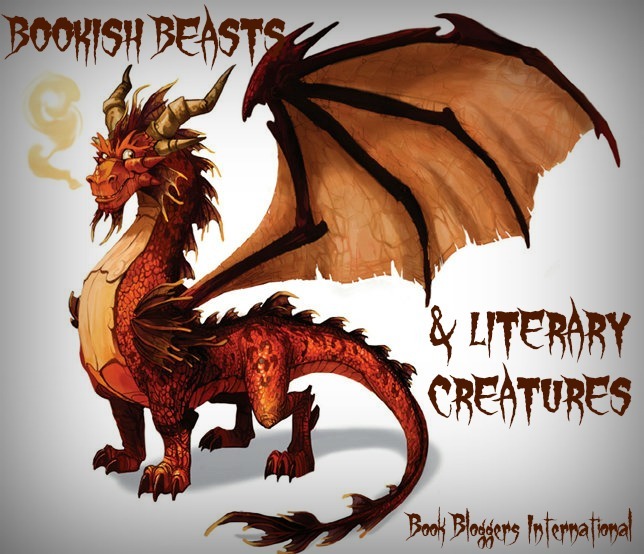 The topic can be debated as to whether it falls into BOOKISH BEASTS, but it definitely fits into LITERARY CREATURES ... Hobbits! As a real life Hobbit, I find a strange connection between myself and those within J.R.R Tolkien’s much loved fantasy series. You’re probably wondering; “But, Paige- what on earth makes you a Hobbit?” I’ll make a list of the parallels between, shall I? For starters, Hobbits are small creatures. Even the tallest Hobbits ‘rarely exceeded 4 feet in height.’  Well, guess what: I’m barely 5ft. In fact, I’m 5ft and half an inch. I’m not even 5”1. How ludicrous is that. Second of all, Hobbits are known for their love of mushrooms. Frodo himself was regularly chased out of farmer Maggot’s field for trying to nick his fungi. Farmer Maggot definitely was not a fun guy. Mushrooms are essentially my favourite food. Fried, raw, stuffed; you name it, I’ll eat it, and love it. I don’t even know why, there’s just something delicious about them- most of the time, I even pick my own mushrooms from our field. (Don’t worry, I’m always careful). I could probably eat 6  meals a day. (There’s no ‘probably’ about it, let’s be honest). Now this next one might seem rather gross: but I hate wearing socks. I will only do so if it is absolutely necessary – like, if it’s freezing, or if I’m putting trainers or horse boots on. 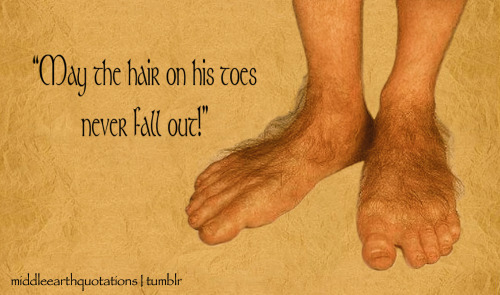 Therefore, it isn’t hard to imagine that my feet are quite rough; and, no doubt, so are hobbits. They don’t even have shoes to wear. Last of all, I like to imagine (as do most people, I assume) that I will live a long life. I’d like to reach a ripe old age, and since Hobbits live longer than men- well, maybe I’ll live long enough to receive a letter from the King/Queen! So, yes, the creator and owner of The Book Carousel is a real life hobbit. Take from that what you will. But enough about me; it’s time to talk about the Hobbits. I’ve already pointed out their small stature. Their range is 2 to 4 feet, with the average height being 3”5. For scale, think of your little brother or sister or cousin or a friend’s sibling. It’s quite little, isn’t it? Look at old Bilbo, exceeding the average! They live an unadventurous life- it was such a scandal when both Bilbo and Frodo left the Shire. That’s another reason for as to why they don’t wear shoes; besides their thick, durable skin, the Shire has soft ground, and being an unadventurous species, they rarely left the Shire. Hobbits come in 3 types: Fallohides, Stoors and Harfoots. Each sub-species (I don’t think the term ‘breed’ is applicable here), has its own prominent characteristics. - Originate from the forest and the woodlands. - The tallest kind, with fairer skin and hair. - It was two Fallohides who begun the expedition to the shire; hence, it can be assumed that the Bagginses are descendants of this kind. - Smaller than Fallohides, with darker skin. It is most likely that Sam is a Harfoot. Speaking of Hobbit holes- the portrayal of their architecture in Jackson’s films is breath taking. The Shire replica in New Zealand is a place that is on my bucket list- and it should be on yours! Tolkien claims to be the inventor of the word ‘Hobbit’, as he expressed that “‘on a blank leaf I scrawled: 'In a hole in the ground there lived a hobbit.' I did not and do not know why.’” This is debated, for there is no official record; but this is not something that I find myself inclined to discuss. (Partly because I have absolutely no idea where I would begin research into the matter). Tolkien has, arguably, created the most magnificent and well known fantasy series to date. Other publications with as much reverence as his could only be either Harry Potter, by J.K Rowling, and A Game of Thrones, by George R.R Martin. So, if The Hobbit and The Lord of the Rings are not books you have as of yet read, I implore you to! Tolkien takes you on a magical and mythical journey, one that is full of fleshed out races like the Hobbits. Thank you so much for reading, and also a thank you to Book Bloggers International for allowing me to write! The only hobbits I ever heard of were in LOTR. This was nice to get an in depth look at them.